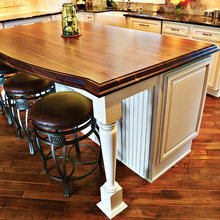 We are Viking Custom Homes; rich in tradition, steeped in professionalism, and vast in experience. Founded over 25 years ago, we are a combined 100+ years of history in the construction industry. We are sincere, hard working, dedicated men and women of integrity. With great pride, we value faith, family and the relationships we foster with our homeowners and with each other. We are Viking Custom Homes. 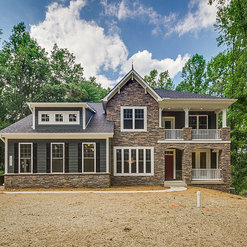 We are a perfectly sized company with an owner and president unrivaled in his technical knowledge of custom home construction and land development. Honest and forthright, he has earned the respect of suppliers, subcontractors, and real estate agents alike, enabling Viking to obtain premier lots, acquire new land development projects, and consistently deliver a truly custom product of the utmost quality and value. 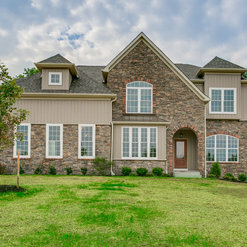 We are recommended to friends and family by our homeowners because of a construction manager who is dedicated to meticulous construction, one fine detail at a time. To ensure expertise of the highest level, we rely on his broad ranging background and years of experience. Whether he’s making a creative design decision, driving down homeowner costs, thinking outside the box to problem solve, or offering informed advice, he’s always hard at work with our homeowners’ interest at heart. We are passionate about customer service by way of professional sales and marketing associates with expertise in communications and customer relations. We are detail-oriented; offering personalized selection meetings, weekly progress updates, a friendly voice on the other end of the phone, and quick response times. We are dedicated individuals who are readily available to our homeowners, ensuring open lines of communication and customer satisfaction. Such a wonderful company to work with. We contracted Viking Custom Homes to build our custom dream house on land that we already owned. The professionalism of the entire staff at Viking is beyond compare. We gave Viking rough drawings of what we wanted the outside of our house to look like, and the floor plan we wanted. Viking passed these on to the architect, and in a short time we had a complete set of plans to build our house. We were kept in the loop during every step of our home being built. All of our questions were patiently answered, and we had plenty throughout the process. The entire experience was wonderful. We would call Viking Custom Homes in a heartbeat if we ever needed to have any renovation or new construction done in the future. There are not enough good words to say about the Viking team!!!!! My husband & I built our home through Viking that was completed in March of 2016 and we could not be happier with the end result. Throughout the process of building our new home, the Viking team was great to work with. Cary showed us the lot (that we purchased through them) and really helped us come up with and finalize a custom design for our forever home. We ended up using one of Viking's floor plans (the Coventry) but changed it to modify the number of bedrooms and bathroom layout, as well as a complete front facade change. Through the actual building process, Dan was always on top of things and ensured meticulous construction according to the custom designs that we came up with and offered great suggestions along the way, including the idea of adding a breakfast bar in the kitchen that we love. 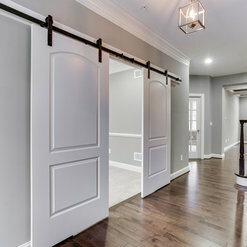 My husband has extremely high standards when it comes to construction (he has experience with building and renovations) and even he was impressed every time we visited the home while it was being built. Even after moving in, the team has been extremely responsive with any question that we have. The whole team is amazing and we would highly recommend Viking to anyone looking to build their dream home. They really are the experts in this industry. We are so thankful for Viking for making our dreams come true in our new home. 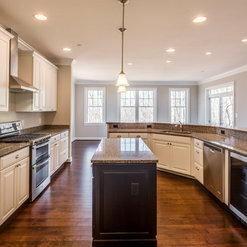 We hired Viking Custom Homes in 2013 and had a wonderful building experience with them. We were not in a rush to complete the project so we were able to work with them to create many custom details that we have always wanted in a home. We have lived in the home for a little over a year now, and we still love the home. The quality and craftsmanship are undeniable. Everyone who comes into our home loves it. 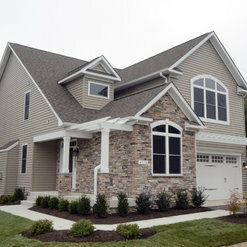 Viking Custom Homes was able to make suggestions and changes without adding stress and delay to the project. They are a truly wonderful company that stands behind their work and delivers a high-quality, custom home. We highly recommend them to others seeking this type of experience. We've orked with Cary and his team for many years. I know when they're working on a project with a customer they'll soon be referring their family and friends to Viking as well. Unparralelled attention to detail and customer service. As my testimony to whoever reads this post, the Viking team did an amazing job as evident by the detailed craftsmanship and attention to detail. Although we've only been in our house for 2 years, this house already feels like a home. I'm telling you, the carpet looks awesome, the painted walls look great, the hardware floors look outstanding, and the above and beyond standards applied in the garage finish. If you need further testimony, the Stanley Steamer guys cleaning the couches thought our house was the best looking new house they had ever seen. As soon as I met Cary I knew he was the one I wanted to build my house. You can immediately tell he takes pride in all his work and you are getting the best quality in all aspects. 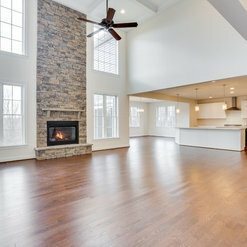 I would strongly recommend working with Viking Custom Homes! We have been working with Viking Custom Homes for approximately two years on a custom build on our own land. Cary Cumberland has been extremely patient and supportive throughout the difficult and long process of preparing our land to build on. He and Dan are always available and ready to answer any questions we have. Sandy is great at keeping us organized with our selections. We trust Viking homes' quality and commitment and cannot wait to move into our new home! 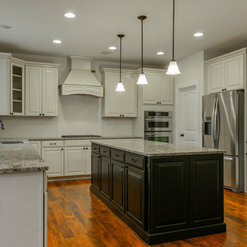 Viking Custome Homes has been a tremedous asset and customer for 84 Lumber of Westminster for over 20 years. Their professionalism and experience allow us to build a relatonship beyond the building idustry. 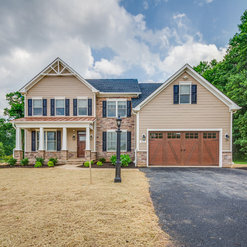 They provide beautiful custom homes and products all around the state of Maryland and are great people to work with. Viking has allowed 84 lumber to grow and meet its goals because of the premiership this company provides. We were a little bit nervous before building our house. Viking really did a good job and made the building process very smoothly. Cary is very knowledgeable about constructions. We recommended his company to several friends.